Raytheon Aircraft produces the U-125 search-and-rescue variant of the Hawker 800, which is one of a number of Special Mission Aircraft -- missionized versions of Raytheon commercial aircraft serving special mission roles for the US military and government and its allies. 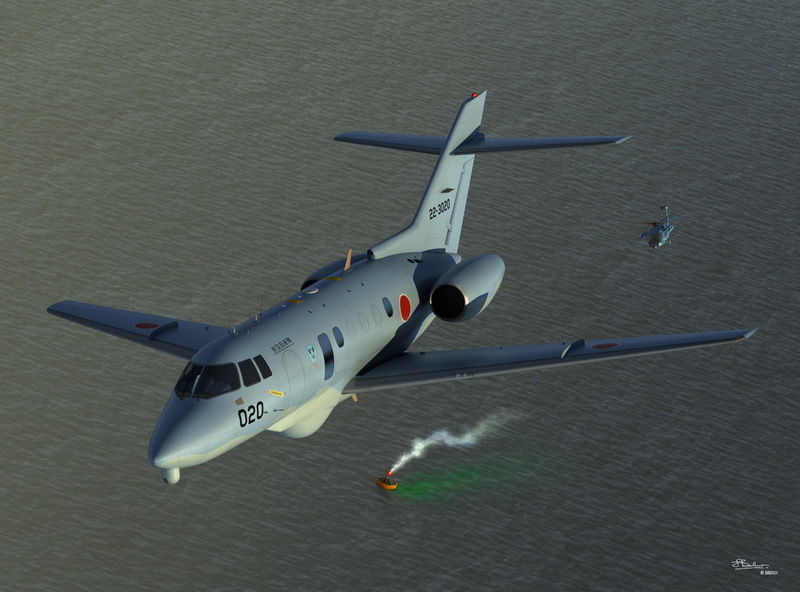 Japan was the first country to specify the U-125A special mission version of the Hawker 800, which is the most extensively modified special mission variant of the Hawker aircraft. Specially engineered and equipped for maritime search-and-rescue duties, they include features such as large observation windows on either side of the fuselage, a Toshiba 360-degree radar system, Melco thermal imaging equipment (TIE) system, a flare and marker-buoy dispenser, life raft and an emergency equipment dropping system. Other features include a comprehensive suite of communications equipment and enhanced protection against the salt water environment in which the aircraft operate.